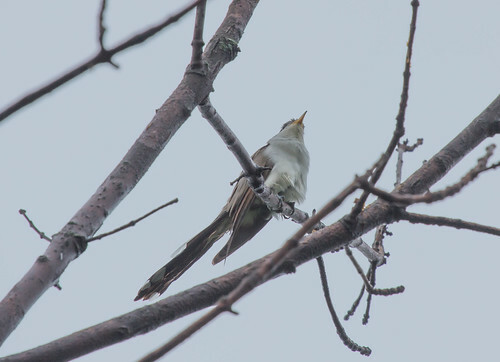 On June 15, 1881, an amateur ornithologist named Eugene P. Bicknell noticed what looked and sounded like a Gray-cheeked Thrush singing near the summit of Slide Mountain in New York’s Catskill range, way, way south of the Gray-cheeked Thrush’s breeding range on the tundra. So he did what bird aficionados were wont to do at the time—he shot that bird and another one to compare the two little corpses with other dead thrushes in his collection. 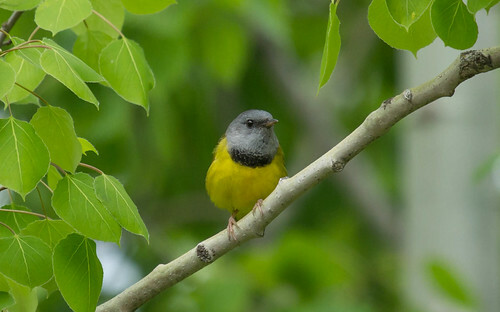 That made him certain that they were Gray-cheeked Thrushes, though because of some differences in appearance and their song, and because they were so far from the normal breeding range of the species, he thought they might be a different subspecies. 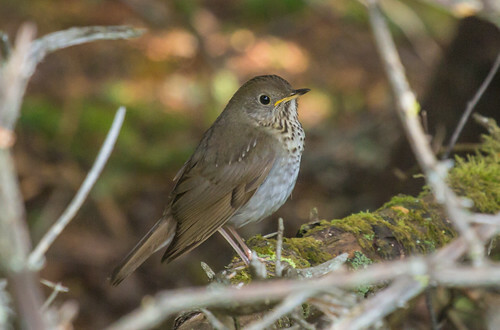 To confirm this, he sent them and the rest of his Gray-cheeked Thrush specimens to Robert Ridgway at the Smithsonian Institution in Washington, D.C. Ridgeway agreed that the New York birds were a previously undiscovered subspecies of Gray-cheeked Thrush, and named the population for Bicknell. 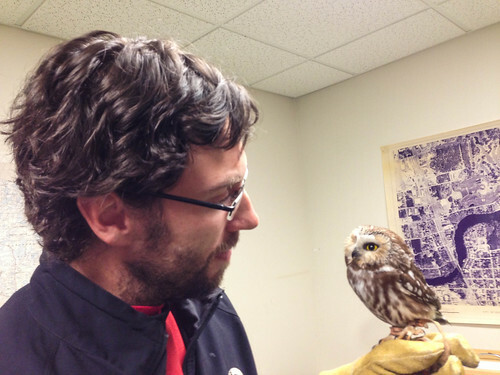 Other ornithologists were intrigued with this isolated population and started studying it. The breeding and wintering ranges were entirely different for the two populations—The Gray-cheeked Thrush nests in taiga and tundra habitat from Newfoundland to eastern Siberia and winters in eastern South America while Bicknell’s Thrush nests in mountains of eastern New York and New England up to southeastern Canada, and winters in the Greater Antilles, especially on Hispaniola. Further research established that significant differences in body structure, DNA, and song between the two populations were great enough to list them as separate species, and the American Ornithologists Union officially separated Bicknell’s Thrush into a separate species in 1995. Bicknell’s Thrush is unique among the thrushes for having a mating system called female-defense polygynandry, in which both males and females may breed with more than one partner, but most often—that is, in about 75% of all nests—one female and her nestlings are attended by 2-4 males. 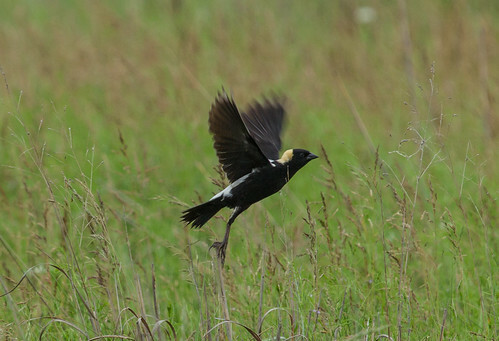 Males sing from a variety of posts within their home range, but don’t defend a territory. 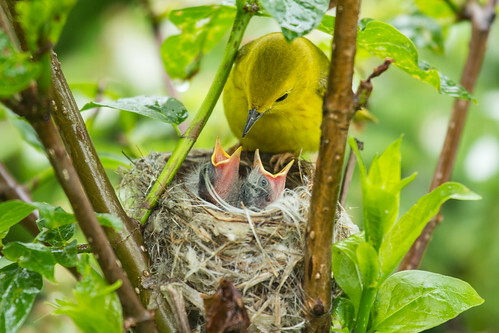 It’s females who aggressively defend their nesting territory against other females. Males significantly outnumber females, though it’s not known if male hatchlings outnumber females or if there is different mortality and why. It’s possible that Gray-cheeked Thrushes also exhibit some of these quirks—their nesting grounds are so remote that few people have studied them in any detail, especially because up until 1995, people thought that Bicknell’s and Gray-cheeks were the same species, so believed that the information gathered for Bicknell’s Thrush applied to Gray-cheeked Thrush as well. On June 17, I was lucky enough to hear and then get a good if fleeting look at Bicknell’s Thrush in New Hampshire. On 6 dates this June, the Mt. 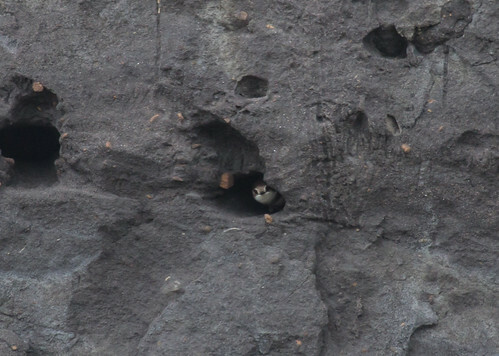 Washington Auto Road provided a van tour bringing people up to see this fascinating bird. I was a little surprised that the tour leader used recordings to draw in the bird. She said they’ve become habituated to the recordings and don’t always respond, but I find it terribly troubling that they use recordings at all just to gratify birders’ lust for the list. Bicknell’s Thrush is listed as vulnerable by the International Union for Conservation of Nature, and is considered one of the most rare, range-restricted breeding species in eastern North America, and its population is known to be declining, but because of the politically-influenced bureaucratic difficulties in listing even the most vulnerable birds for protections under the Endangered Species Act, it isn’t illegal to disturb Bicknell’s Thrush on private property, which the Auto Road is. It felt uncomfortably weird, though, just a week after going on a Kirtland’s Warbler tour in Michigan in which our wonderful guide worked hard to help us all see the bird without using any recordings at all, to encounter such a different philosophy in pursuing a bird equally worthy of every protection. It didn’t keep me from adding Bicknell’s Thrush to my lifelist, especially because we were hearing it before the recording was played, but that little tick on my lifelist will always seem a little troubling and tainted. Mia Revels used recordings to bring in the Swainson’s Warbler I saw in southeastern Oklahoma during the Red Slough birding festival, but as the primary researcher studying the species in Oklahoma, she knew exactly where a bird would be, and played the song only briefly, anticipating based on her long experience where it would alight so we’d all get a look and then leave it alone. I feel vastly different about the judgments and techniques of the experts working tirelessly to study and conserve a species than I do about a for-profit company whose only interest in a species is the money they’ll get from showing it to people. I’ve personally used recordings occasionally, and been with people who use them, to call in fairly common species in lightly-birded areas, though I do this very seldom and find the practice more and more unpalatable. The Mt. Washington Auto Road is well known among birders as a place to easily see Bicknell’s Thrush, and I’m sure too many people are using recordings as it is—this should not be done so cavalierly for profit. I know this is inconsistent and maybe unfair of me, but that’s my take. This entry was posted in Uncategorized on June 27, 2013 by Laura Erickson. 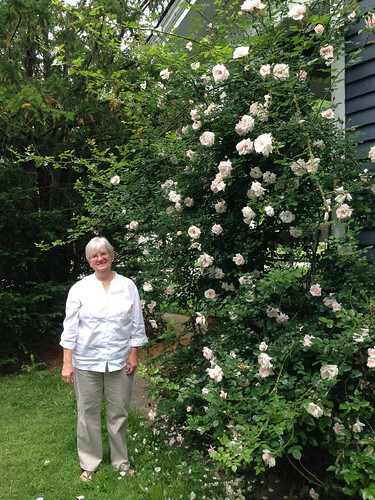 From June 6—23, I took a trip to New England. The ultimate goals were to add the endangered Bicknell’s Thrush of the Adirondack Mountains and the Atlantic Puffin and some other northern seabirds to my Conservation Big Year list, but I made plenty of other stops along the way, adding splendid birds and lovely memories. Every year Troy and I have had a singing Mourning Warbler in this tree. I wonder how many individuals we’ve seen, and how many times one bird has returned year after year? My first major stop was Grayling, Michigan, to see Kirtland’s Warbler, but I broke up that 500-mile drive with a stop in Eagle River, Wisconsin. For the past decade or so, I’ve taught an Elderhostel, or now Road Scholar, class at Trees for Tomorrow there. This year for the first time we didn’t get enough people to hold the class, but I really missed birding with Troy Walters, the amazing naturalist who scouts the area and is my co-leader, so the first night out, I crashed on his sofa and we did some early morning birding together. So far my nemesis bird of the year seems to be the Spruce Grouse. Troy brought me to his favorite spots for seeing them, but we missed it. I didn’t mind—it was lovely being back in that part of northern Wisconsin, and birding with Troy is one of the fun rituals of my year. The best photo of a Black Tern that I have. He’s headed toward the left. After the warbler, I headed on to Ohio. 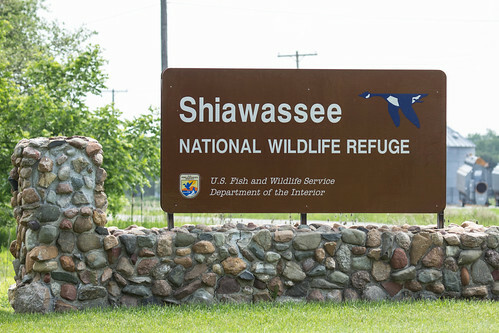 But when I was looking at a map in a Michigan rest area along the way, I noticed that the Shiawassee National Wildlife Refuge was not far out of my way. This was an occasional field trip destination for both of my college ornithology classes, at which I’d added several lifers, so I decided to go there and drive the wildlife loop. 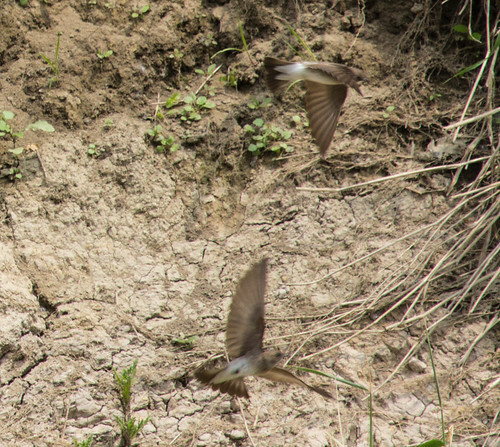 I got my first Grasshopper Sparrow of the year there, and had a lovely experience watching Black Terns. 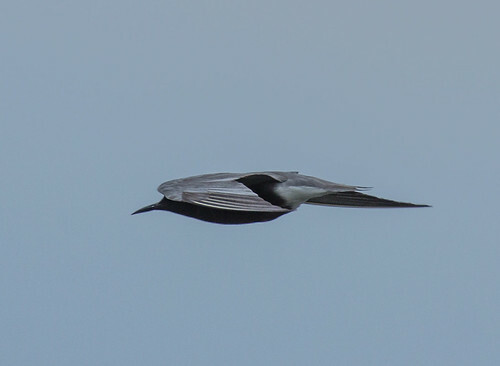 I saw a lot of Black Terns back in the 70s, but their numbers have dwindled dangerously. They were darting about too quickly, in poor light, for me to get any quality photos, but I didn’t even mind—I parked myself where a small group of them was fishing and felt deeply happy just watching them. 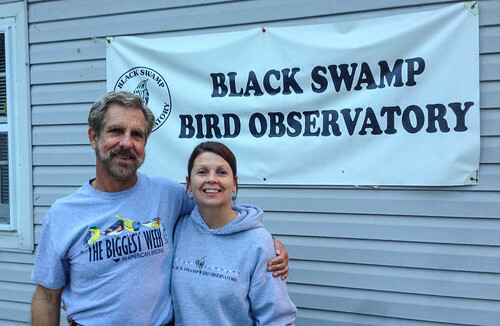 Then it was on to Ohio, to the Black Swamp Bird Observatory’s famous Magee Marsh. 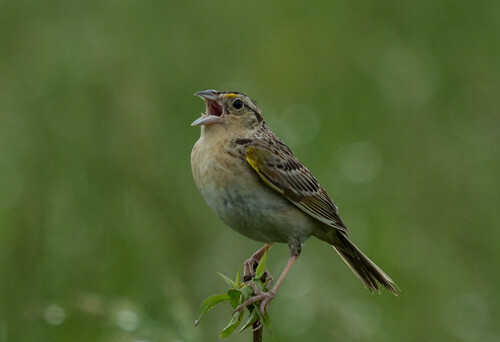 I spent one rainy morning birding with my friend Ryan Lesniewicz—we had great looks and photos of a Grasshopper Sparrow and heard my first Henslow’s Sparrow of the year. The birding in the Magee Marsh was superb. 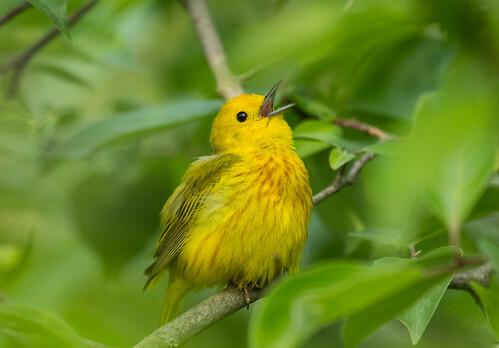 This is a major destination of birders during spring migration, when warblers can be amazingly dense. Birders from all over the world gather on the boardwalk by the thousands to watch the spectacle. Now the birders and migrating birds were gone, but the remaining local birds are so accustomed to people on the boardwalk that they go about their daily business without hiding from view at all. 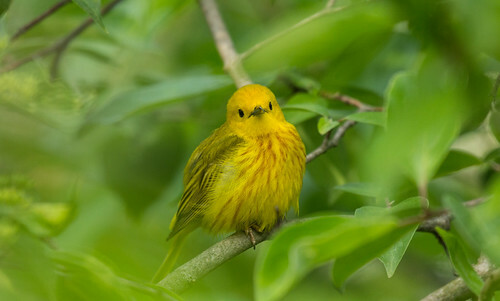 I spent many minutes watching one male Yellow Warbler at very close range. 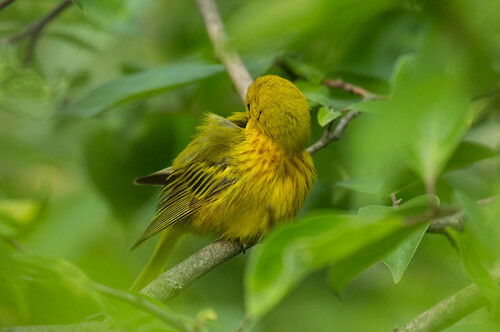 He was tucked into a dense shrub, but there was just enough of a leaf gap for me to watch him preening, looking about, and singing. Every now and then he’d look directly at me, but was apparently so habituated to the sounds of camera shutters clicking away and people gawking at him that he didn’t seem to mind my presence at all. 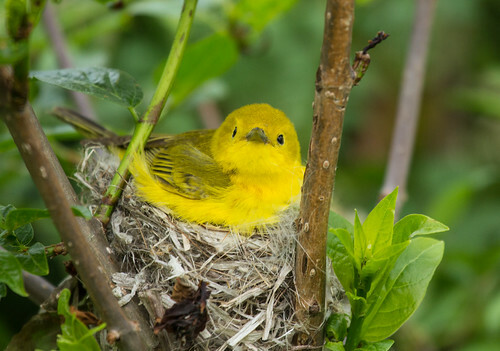 Further down, some children joyfully alerted me to a female Yellow Warbler on her nest, built right at their eye level. She had two tiny chicks beneath her, but I only got a glimpse of them that day. I returned the next to get lots of photos of her feeding them. Again, she was very calm while being watched because of how well used this boardwalk is. 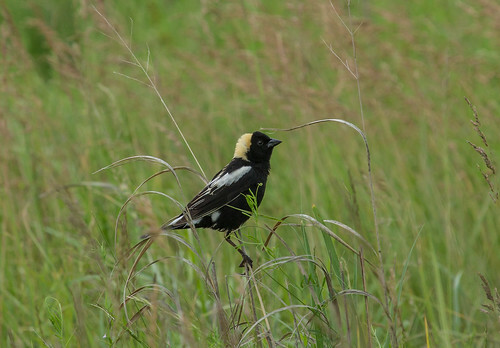 Next morning, Paula brought me to a cemetery where a colony of Bank Swallows were nesting, and then to a lovely field in the Cuyahoga Valley National Park where we heard another Henslow’s Sparrow and feasted on the beauty of Bobolinks everywhere. 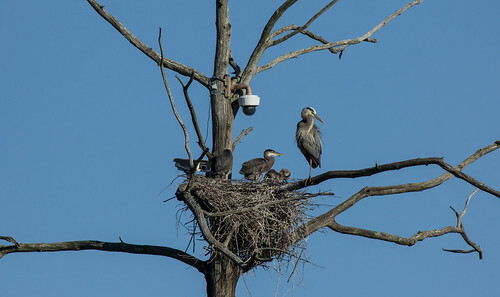 Next day I drove to Ithaca, New York, to see my beloved Great Blue Herons and visit my beloved Cornell Lab of Ornithology. 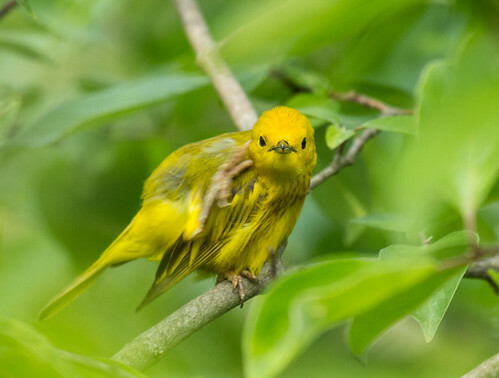 I’m trying to highlight birds of conservation interest this year, and also the institutions and people doing the research, education, and conservation projects to help them. My stops along the way to New England fit the bill perfectly. I left Ithaca with my year list at 437. This entry was posted in Uncategorized on June 26, 2013 by Laura Erickson.